Among all the events which are taking place these last days in the city, we shouldn’t forget the importance of the bicycle and all the mobilization that goes with it. For this reason, we shouldn’t miss this festival. Have you thought about disconnecting these next days? The best cultural suggestion that we have found is this festival about cyclist cinema in Barcelona, which will be celebrated from the 5th to the 8th of October. This is not only an exposition and a competition of films, this is also a variety of activities for adults and children, which will induce us much more in this cultural space dedicated to the bicycle. Discover unique cinematographic works with one common element: the bicycle. Connects with this style of life on another level. It will be one of the best trips that you will take with this vehicle. 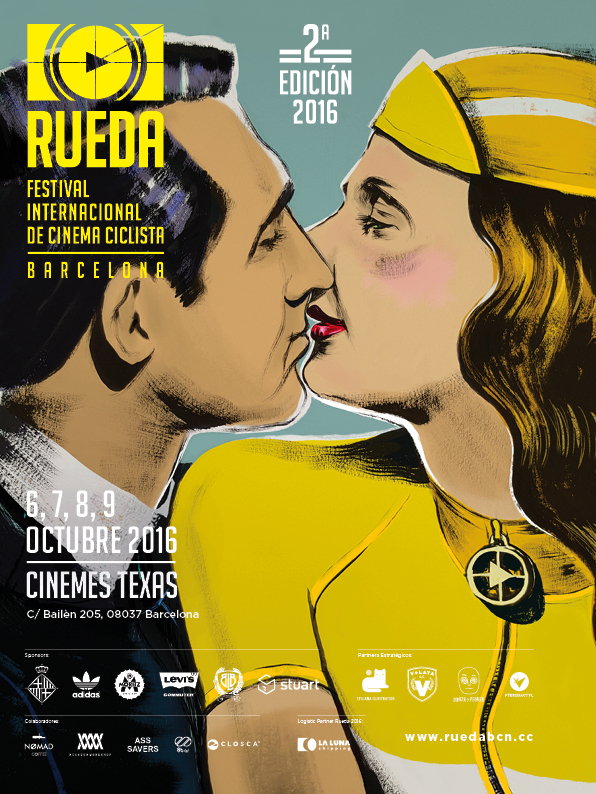 The 6th, 7th, 8th and 9th of this month of October, at the Texas Cinema in Barcelona (Bailén street, 205), Rueda, an international film festival that revolves around bikes, will take place. If you are a lover of this two wheel vehicle, you shouldn’t miss this ode to the bicycle, with which you will enjoy films, short films and other activities which will be celebrated in the city during these dates. For these four days, the Texas Cinema has prepared a selection of 10 films and 15 short films. In addition to the projection of the Rueda Kids, during Sunday morning, there will be a selection of short films for the smallest ones of our homes, in order for them to “start to dream with cyclist adventures”. But not only the cinema will be the meeting point during this event. The Nautical Base at the Playa de la Marbella in Barcelona will be another place with a lot of different activities such as cycling races bike polo and street markets. We are sure that you will not be able to find a better excuse for leaving home to go pedaling this weekend.